I didn’t expect my Sunday afternoon flight from Boston, MA to Washington, DC to turn into a moment of activism for survivors, but it did. I travel a lot for work, so I know the security drill. Shoes off. Laptop out of your bag. No liquids. Remove your belt. Take everything out of your pockets. But on Sunday, the drape on my shirt set off the scanner, highlighting a large area over my chest. Because of this, the TSA agent explained, she was going to need to pat that area down, including my breast. I gulped. Not what I had in mind. So I asked her if I could take off the shirt and come back through the scanner, since it was obvious this was the cause. She said it wasn’t allowed, and that once the machine registered something, it had to be resolved. At this point, I’m holding up the security line. Nonetheless, I took a deep breath. And I spoke up. Well, I’m a sexual assault survivor and I would prefer not to have my breast touched by a stranger. Too many survivors would rather re-traumatize themselves than come out as survivors. When we are visible, we are shamed – and made to feel we are broken or at fault. But when we remain invisible, our experiences aren’t considered. This is the basis of my work at The Enliven Project. Looks were exchanged. The agent asked someone to go get a manager. We waited. She looked uncomfortable, and said something about not shooting the messenger. I said I was speaking up for others who couldn’t. She said she was glad I did – and I should. The big boss came over. There was now a crowd of agents watching and listening. I explained my situation. The answer was the same – in no uncertain terms. I asked for her boss’ name. It was all very civil. But it was clear that if I wanted to get on my flight, I was going to have to get patted down. And then something unexpected happened. I started to cry. Because it turned out that I really, really did not want to have my body touched by a stranger. I was tired. I didn’t have the energy to process it or protect myself emotionally. We can do it in a private area, she said, in an attempt to soothe me. Get a tissue, she barked to one of the agents. And so it was. I endured the pat down. I did my best to make this poor traumatized TSA agent assigned to touch me – for no real reason – feel less sad and awkward. She told me again that she was glad I spoke up. That she used to be a social worker. That she gets it. Will the TSA change its policies because of this? Probably not. But did I create a teachable moment for the agents who were watching. Absolutely. Now they know – in a visceral way – that invasive pat downs can be emotionally painful for survivors of sexual violence. After all, every fourth woman and every sixth man who passes through security shares a story like mine. One of the hardest things about being a survivor of sexual violence is that it’s an invisible experience. When invisible, your pain is yours, and yours alone. And no one can help you address it. When we are visible, our experiences and walk through the world can be known – and eventually understood. That’s why I feel compelled to speak up for survivors – to make us visible to the world, TSA agents included. *Clarification: Passengers with pacemakers and metal joints are still required to be searched, often with pat down searches. The point is that they are considered as a special population, whereas sexual violence survivors are not. Thank you for speaking up, Sarah, and how fortunate you were to have a screener who understood. Sadly, except for the woman you first encountered, none of what you did will make a difference to any of the other screeners. That has been proven time and again, over and over and over. They don’t care if you are a sexual assault survivor, they don’t care about your disabilities, they don’t care that your infant with cancer cannot have her feeding tube foods opened; they don’t care if you are blind and can’t see where to put your feet when going through the scanner; they don’t care if you are a vet with two prosthetic legs – they just don’t care. For years we have heard stories of just awful encounters with the TSA by sexual assault survivors, including one woman who was so traumatized by the “pat down” she received at the hands of the TSA that she ended up in a hospital. Never, ever go into a private room with anyone from the TSA. 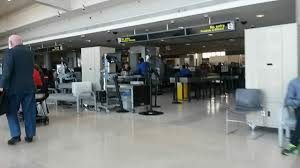 The only reason TSA wants to get people into a private room is because the pat down in there is so invasive, so humiliating that the TSA doesn’t want to general public to see what they are doing to passengers. A private room pat down is violative of the Administrative Search doctrine. A private room pat down does not meet the above standard. May I share this with my colleagues at http://tsanewsblog.com// and may I also post a link to at the TSA Blog? Sarah, I can only second everything Susan Richart said. I wish I had some words of wisdom, of comfort, to offer, but I don’t. The TSA is an out-of-control, criminal agency that abuses people with impunity. And as long as people continue to fly, rather than boycott, this abuse will continue. I also travel quite a bit for work and I’m always struck by what an arbitrary system it is. I have TSA Pre-Check, which lets me skip a lot of the hassle (I can keep my shoes on, and my laptop in my bag, etc). It is *so* much more pleasant to go through a Pre-Check line. I get all irate and grumpy when I have to go through a regular line. And did my pre-check screening make me any less of a risk? Probably not. Anyone without a criminal record could get one. Pre-check is more pleasant because you’ve paid for it. And, even then, you’re still subject to the whims of the TSA agents. The rules that they’re not supposed to compromise on (like your pat down) are supposed to make things less arbitrary…But I suspect that’s not really the case. Because there are still so many rules that are open to interpretation. The whole system is just plain broken. What’s funny is that I actually have pre-check but had misplaced my KTN (which I now found). And I do get the need for pay-down searches, but this just seemed totally unnecessary and traumatic. But opened my eyes to yet another place where more viability for survivors helps create systems that aren’t so harmful. Except that Pre-Check is no guarantee. As thousands of people can attest, and as the TSA itself says on its website and has been saying since Pre-Check was invented in 2011, Pre-Check DOESN’T guarantee anything. You might not have to take your shoes off, you might not have to take your coat off, you might not have to take your laptop out, you might not get scanned, you might not get groped. Might might might. Again, thousands of people who paid for Pre-Check have found this out, when they’ve been forced through scanners or pat-downs at the whim of TSA agents. We’ve written about it many times at TSA News. The whole thing is still wrong on the face of it. It’s not only ineffective, it’s unethical. Why should people who can afford to pay more be treated any differently from anyone else? People are ponying up their $85 in an effort to buy back their rights. It’s wrong.